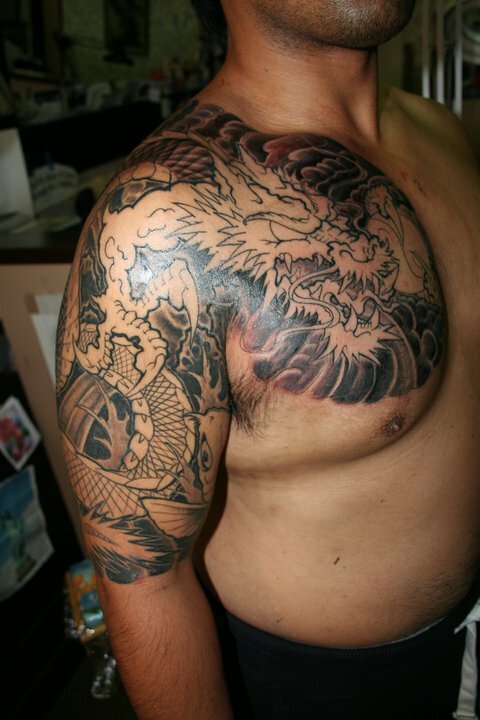 This Oriental (Japanese) dragon tattoo is one of my latest projects. It`s still under contraction and getting ready for colors. It was done by FREEHAND of course.